"The revolution starts under your feet". With iD Revolution, Tarkett introduces the first Cradle to Cradle Gold-certified modular resilient flooring, made with recycled and bio-based materials. 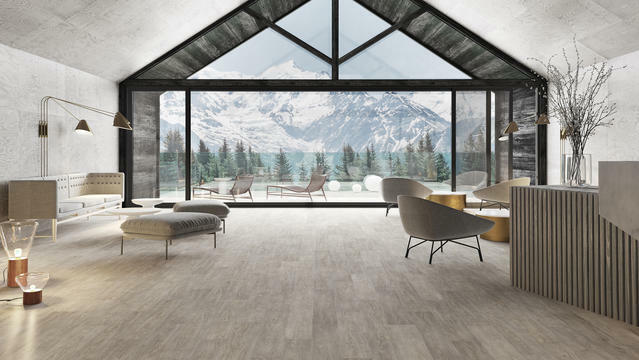 Using innovative and abundant raw materials in its conception, iD Revolution is the result of Tarkett’s proven expertise in materials and experience of developing sustainable, innovative solutions. It was developed to respond to our customers’s non-PVC requirements. Interested in iD Revolution and the sustainability-oriented innovation baked into its DNA? Read more about how it is made and why it is Cradle to Cradle® Gold certified.